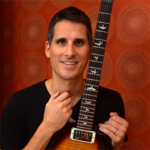 Go directly to https://www.guitarmusictheory.com/pentatonic-dvd.html to sign up for a FREE DVD preview. Thank you so much for sharing this DVD sample demonstration! I love to read more of this soon! Thanks again.